Early investor Roger McNamee explains his concerns about the platform’s trajectory. From his activist investor perspective, McNamee wrote that Facebook’s business M.O. for the past several years has focused on growth hacking — measuring how users reacted and interacted with all aspects of the social platform, down to small changes in how the site looked. This isn’t the first time that McNamee has voiced his concerns publicly. Prior to the Time cover, he wrote op-eds for USA Today and The Washington Post and spoke toQuartz about the need for more regulation and transparency in this space. 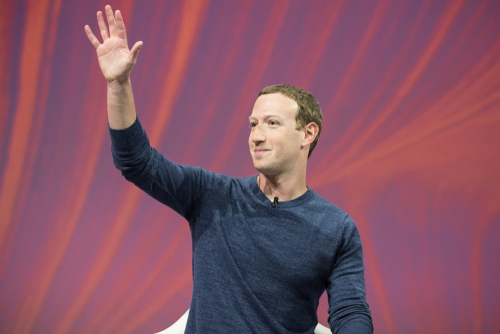 When Zuckerberg wrote his 2019 New Year’s resolution, he said that his goal was to “host a series of public discussions about the future of technology in society — the opportunities, the challenges, the hopes, and the anxieties.” One has to wonder whether it’s crossed his mind to bring McNamee and other critics to the stage as someone who could speak on both the past and future.